With Halloween, fast approaching it’s highly likely that we will see further reports of incidents involving ‘killer clowns’ in the UK. Over the past few weeks the media has been full of reports about the anti-social behaviour of these so-called ‘killer clowns’. Even the son of an England footballer was reported to be facing expulsion from school for threatening to organise a gang of clowns to scare pupils at other schools, prompting lockdowns. The boy, whose father’s identity has not been revealed, has been suspended from school, according to The Sun. 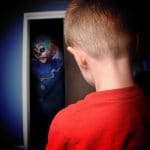 The craze, a bit like Halloween, has come to the UK from the US and although there haven’t been any murders by killer clowns, as the name would suggest, the police have warned that they will take bad examples quite seriously, potentially arresting the perpetrators. The behaviour of people dressed as clowns who purposely intimidate or distress others easily falls within section 4A or section 5 of the Public Order Act. These sections criminalise disorderly behaviour and covers the intention (section 4A) or likelihood (section 5) of causing a person ‘harassment, alarm or distress’. Section 4 is punishable by six months’ imprisonment, while section 5 is fineable. So far as dealing with people loitering in clown outfits but not actually doing anything, they could be threatened with arrest for behaviour likely to cause a breach of the peace. However, actual arrest could be deemed rather heavy-handed, but do expect the police to be on high alert as Halloween weekend approaches.